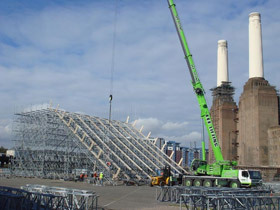 Under the terms of a standard CPA crane hire agreement, the crane & the operator are the responsibility of the customer once the crane leaves the public highway in order to access the site (this includes travel on any access roads in the event that the site is not immediately adjacent to the public highway). Loss or damage to our plant & equipment whilst on site and under the hirers’ control. Loss of, or damage to the goods being lifted. Continuing hire charges whilst the plant/equipment is unable to work as a result of loss or damage. Injury to operator and other personnel whilst under the supervision and control of the customer, also injury to third parties including damage to their property as a result of the lifting operation. 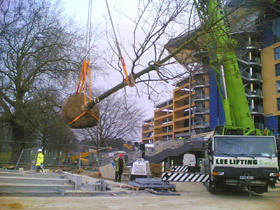 Lee Lifting Services Ltd can waive some of these requirements subject to an additional charge. The hirers’ appointed person must have the knowledge and understanding of all aspects of the lifting operation. It is their responsibility to plan the operation and either supervise and control the operation themselves or appoint a suitably competent person to carry it out on their behalf. It is also the hirers’ responsibility to insure the equipment and personnel. 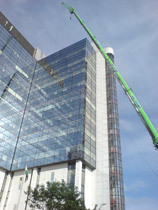 The crane owner must supply a competent operator and crane fit for the intended purpose.